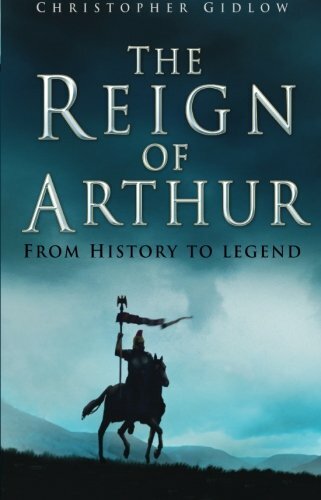 If there was a real life King Arthur, then he would have lived in the 5th or 6th centuries. Discover what people said about him at the time. 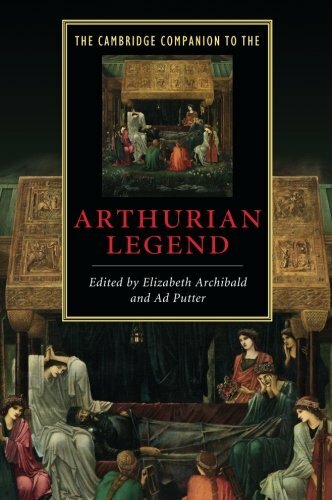 The Arthurian Legend was a force to be reckoned with during the Middle Ages. It twisted and evolved to fit different agendas - the majority not even Celtic. For 1000 years, territory in Europe changed hands in a constant cycle of conquest, warring and diplomatic marriages. These were the Middle Ages - Medieval, if we're translating the era into French - wherein thousands of tiny tribal nations were forcibly merged, forming the broad outline of today's European countries. The Middle Ages began with the power vacuum left by the fall of Rome, and ended when established nations entered the world stage in the quest for empire. Actual dates depend upon the country in question. In Arthur's native Britain, the Medieval era started shortly after 410 and ended in 1483, on Bosworth field, with the death of the last Plantagenet king. These are the dates used here as a time frame to chart the evolution of Arthur's legend, beginning here with contemporary or near contemporary sources. This was always going to be a challenging endeavor. The earlier we go, the more sparse the sources, and the greater the difficulty in dating them. Worst still are those lost contexts which are so vital, when it comes to any degree of accurate analysis. 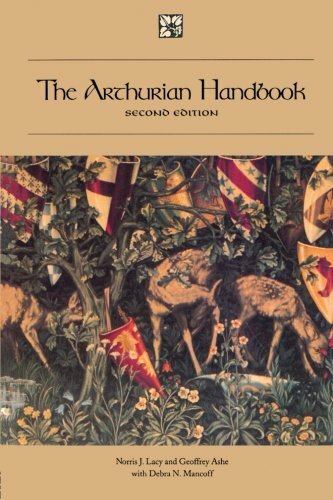 Yet these are perhaps the most important pieces of literature in the whole Arthurian Matter. If he lived, then all circumstantial evidence points towards the 400s and/or the 500s. These bards and writers could have known Arthur. If not personally, then certainly by repute. They were his contemporaries, thus the closest we have to headline newspapers to discover the truth. But we are also talking about a place and time in which most news and stories were verbally passed on. The oral tradition leaves no traces, when all tongues are gone. This book is open on my desk as I type. The odds against any such story surviving fifteen centuries into the modern day are astronomical. Even more so, if we wish for them to arrive intact. First a legend or historical event has to be significant enough for people to want to pass it on. Bards tell communities, parents tell children, on and on through several generations. The boring bits get lost. The dry ones are embellished. Political, social, emotional, religious and a whole host of other agendas creep into play. A line or two here added to embarrass a friend near the front gets remembered by a child at the back, then handed on to his grandchildren as fact, as something that was always in that tale. Things change - an emphasis here, a viewpoint there, skirting over the bits that are no longer sensical nor acceptable. The Arthurian legend has always shifted to suit its audience. It does it now, and there's no reason to assume that it wasn't the same back then. Secondly, someone has to eventually write these stories down. That tended to be monks, who'd smudge any blatant Paganism and certainly weren't above inserting modern (by their standards) Christian touches. Some had priories and abbeys to fund. They twisted locations, sneaked in historical personages or anything else which could link a popular legend with their own holy house. Such things brought in the pilgrims and that raised cash. Thirdly, we have to hope that the copyist speaks the language, or cares about the cultural heritage enough to keep the copies going. Manuscripts crumble to dust given the rigors of enough centuries. Or they get left by the river, lost in the mud, burned in fires or deliberately destroyed as scandalous. Surviving tatty papers on the verge of fading into oblivion are no good, if the words are in Old Welsh, and the monk is a 13th century Anglo-Norman, who can't read it and anyway can't stand the Brits. Fourthly, the written tale has to escape those deliberate purges of ancient British heritage. There have been several of them. Gildas was said to have visited or written to several monasteries, collecting every documented mention of Arthur from their libraries, and obliterating them. The Normans rewrote the legends closer to their desired goal of making Arthur et al. seem much more like themselves, then they allowed their source material to simply disappear, replaced. Welsh libraries tended to be in the hands of its princes and nobility, who in turn often spent half of their lives locked up in the Tower of London. Bit by bit, those great collections came to London, another book to read behind bars, not to be returned when the Cymric dignitary expired beneath the executioner's axe, or still in their cells of old age. The Plantagenet monarchs disposed of some volumes. Henry VII ordered the remainder brought together and he destroyed the lot. Probably because his Tudor ancestry sounded much more like a steward in their telling, than the chieftain of his own. At least the printing press existed now, boosting the chances of any remnants continuing on. But then they hit the Victorian Age, wherein redactions were rife. Ancient tales were stripped of anything even vaguely risque, or reworded to seem so much more romantic in their portrayal of the Noble Savages within. 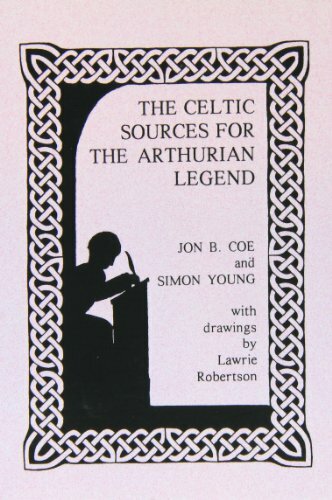 During a great era of Celtic legends flooding the bookshelves, they were largely Bowdlerized. They were Celtic for a start, which wasn't a word generally used outside Classical Greek text books until then. But it's in the lexicon now. Through it all, we're left with strange tales, which may bear little resemblance to those told by the contemporary bards. And we have to understand them across the gulf of fifteen centuries. The past, as was once so famously said, is a foreign country. Hence much debate amongst academics and amateur enthusiasts alike, particularly on such matters as original dates of composition and what facets remain extant amidst the insertions and omissions. Some of those debates have been staged with much vigor inside my head, with only me here, in the course of writing this. I've opted for introducing a piece at the earliest point that it could have been written. Or some historian somewhere has at least made a case for that date, even if their reasoning doesn't stand up to scrutiny. Therefore some reading will cry aghast that I don't start with Gildas like everyone else does, but Llywarch instead. Even I don't think that the stanzas in question are 5th century, but John Morris (Age of Arthur) thought they might be, and 480CE beats 540. I've also done my best to rely solely on what is said, sifting through the fragments to describe the reality of the legend at any given point in time. So clear your mind of 12th century knights in shining armor, 13th century round tables and 15th century evil, incestuous sorceresses. Here comes Arthur as he first arrived on the literary Medieval scene. Fifteen centuries is a long time to amass versions of a story which won't go away. 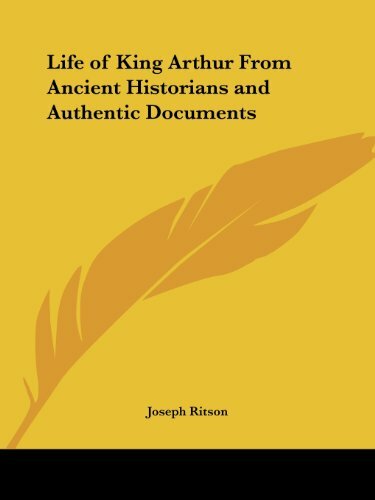 These reference books for King Arthur will help you keep track. Elegy for Geraint, translated into English from original Welsh, could date from 480 CE, or 710, or any time up to the 12th century. If, as some commentators believe, this Welsh war poem commemorating the Battle of Llongborth was penned in 480CE, then it's a mention of Arthur pre-dating all other written records. Unfortunately that can't be proved. In fact, we have no way of knowing when Marwnat Geraint (Elegy for Geraint) was composed, nor by whom. It's written as if the bard was there, witnessing that disastrous battle unfolding. But historians are struggling to date said battle. Best guesses have so far thrown up 480, 501 and 710. However, that's assuming that it wasn't a later bard writing in the present tense, in order to convey more emotional impact. In which case, Marwnat Geraint could date from any time up until the early 12th century, when it was finally written down. Author: Nobody knows for certain who wrote Marwnat Geraint. If we did, then dating it would be a lot more precise. However, the main contender is Llywarch Hen (Llywarch the Old), who lived between 534 and 608. He was a prince of Rheged and a contemporary of Aneirin. If Llywarch is ever proved to be this bard, then his poetic reference to Arthur must be positioned after Gildas's 540 sermon. Or else Llywarch was the most talented six year old ever to have lived. More likely, it was penned around the time of Aneirin's Y Gododdin, when Llywarch was around 36, or later still. There was plenty of time. Llywarch lived until he was 74, which was a grand, old age in 608. Where: Llywarch Hen established himself in the llys (chieftain's court) of Urien Rheged and later his son Owain, in Argoed, Rheged. If he didn't write the elegy, then all we know is that it was penned somewhere in Britain by an unknown Brythonic bard. Story told: The bard claims to have been at the Battle of Llongborth (Llogporth), wherein Geraint was killed. The elegy praises the bravery of Geraint and his warriors, then tantalizingly refers to them as Arthur's heroes. guir deur kymynint a dur. I don't like the translator's version, so I'm going to give it a go myself. It won't be literal, but it'll keep the bardic meter insofar as possible. Though the alliteration and rhyme will be lost. Men stalwart cutting with steel. The way in which most people translate it, Geraint's war-band is ultimately under Arthur's command. He's the High King, therefore Geraint is like a general in a united army, even as he's chieftain in his own right. Either Arthur himself was at Llogporth (or Llongborth in English), or else Arthur's men were Geraint's men. Same difference. Whichever way, those warriors were brave and they were excellent fighters. They also had the latest, high-tech weaponry in steel swords. 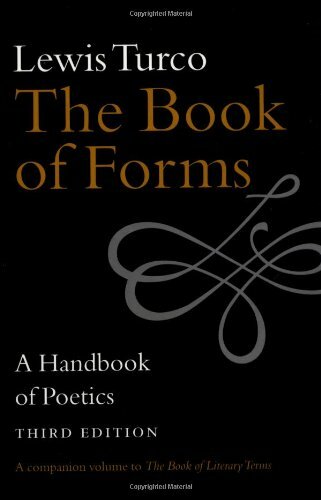 Possible agenda 1: Was it all a poetic device? Welsh bards love playing with the sounds that our language makes. This is why you've just had 'governor ground' from me to maintain the alliteration, instead of the less awkward 'ruler of the land' or 'governor of the lowly/humble/downtrodden'. The elegy's writer was also playing very nicely, repeating the sound 'dur'. Which is why you get 'deur' - modern day 'dewr' meaning brave, stout-hearted, valiant etc. ; 'a dur' - steel; ameraudur - modern day ymerawdwr translated as emperor; and llywiaudir - modern day llywiawdwr which can mean governor, ruler, person giving directions or instructions. Though it might not be obvious in English, the word Arthur also fits the bill. There is no 'th' in Welsh, so his name should be rendered Arddur. Unfortunately, Medieval Anglo-Normans got to write it down before the Welsh did, so it's remained misspelled to this day. Therefore we have to ask ourselves whether the bard used Arthur for stylistic purposes, as I just deliberately did with 'governor ground', or was Arthur actually there? Or are we being reminded that Geraint's men are also Arthur's men? If the latter - which is more likely - then we need to start exploring the main agendas. Though the poetry works too. Possible agenda 2: Where do we even start? Without knowing precisely which bard or where and when the battle took place, we're floundering a little in the dark. Motives naturally become little more than speculation. The elegy recounts actual history. Arthur was there and therefore he was a flesh and blood man fighting alongside Geraint. The bard is using Arthur like Aneirin did (or later would), as an analogy for utmost courage on the battlefield. Geraint's war-band fought like they were the fabled return of Arthur and his war-band. Similar to the above, but more mystical, as if they were actually possessed by the Pendragon et al. The line immediately before this stanza ends in the words 'a gvydi gaur garv atnev' - 'after the war cry, a fearful return'. Geraint and his men were beaten down, but they summoned their resolve and charged back into the fray. 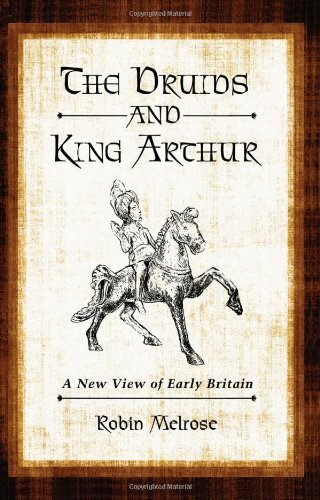 The notion of Arthur as the Once and Future King, who'll return to save Britain when the time is right, didn't gain popularity until much, much later on. But this could be the earliest hint that it was current in the oral tradition even then. Arthur is a Celtic God of War. The wording adds greater credence here, as the bard chooses 'gueleis' (modern day gweleis) to indicated seeing, perceiving or witnessing something. 'Gweled' or 'gwelwch' would have been better for that. Words do change meaning over time, and 'gueleis' is used three times to indicate something seen. But in modern Welsh 'gweleis' means Seer, or visionary, like someone viewing events as a Shamanic endeavor and/or psychic clairvoyance. Did the bard see Arthur in the same sense that Joan of Arc saw St Michael, St Catherine and St Ann? Arthur is a kind of British zeitgeist - the spirit, soul and heart of its people. What precisely is meant by 'llywiaudir llawr'? My erstwhile Governor Ground. Llawr refers much more to soil than land. It's the dust, the downtrodden, the earth itself, rather than 'realm'. Salt of the Earth, not sultan of anything. Yet it's prefaced by 'emperor', which in Sub-Roman Britain still meant the highest office available to humanity, pipped only by divinity, and some Roman Emperors blurred those distinctions too. So either the poet is using these words in the same ironic sense that Jesus Christ was crucified beneath the legend 'King of the Jews' - Emperor, Leader of Dust; Emperor, Ruler of the Lowly; Emperor, Governor of Dirt - or there's a statement being made. Arthur was everyone. Arthur was the top to the bottom, simultaneously the highest ruler and the humblest in society. The head of Y Ddraig Goch or, as stated much more simply elsewhere, the Pendragon. Arthur is Emperor for the British now. 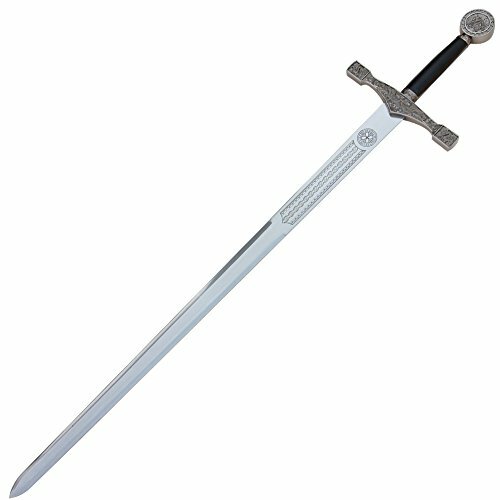 Though his actual wealth and resources pale into insignificance in comparison to his Roman counterpart, Arthur's got a steel sword, and that's all he really needs. 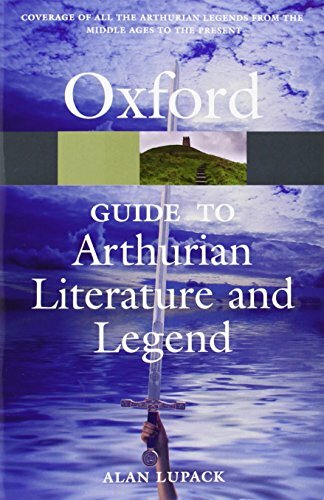 Addition to the Arthurian legend: Whether man or deity, the persona of Arthur was firmly positioned upon the battlefield. He was a British warrior and the leader of a war-band, associated with bravery and efficient slaughter. His men - and by implication Arthur too - were well-armed. Expensively so too. Steel had been around for centuries by 480 CE (progressively longer, if we're assuming a more likely 6th-12th century origin for these verses), but it took a great deal of time, effort and wealth to turn it into a sword. 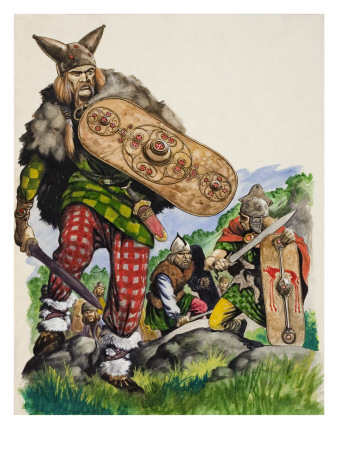 Most contemporary warriors in Britain would still have been making do with iron. Though naturally there was an alternative route to owning such a sword. That was to defeat its previous owner, then take it off the corpse. 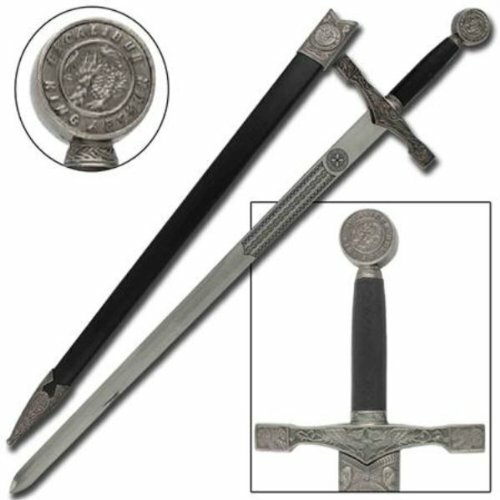 Nevertheless, the very first thing we're told about Arthur is that he wielded a fancy sword. The genesis of Excalibur is right here. If I'm right about the 'return' thing, here is the earliest iteration of that part of the legend too. Though that's much more tenuous. However, it does reaffirm Arthur's fame as a brave warrior. 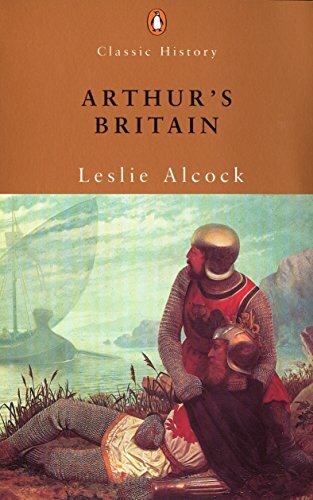 If it can ever be proved to be a literal telling of an historical event, then Geraint's elegy is also an historical source for the real Arthur. Also known as Geraint Son of Erbin, this tale from the Arthurian Romances looks like the usual Sovereignty story. But there's much more going on than that! There's a sale on Excalibur! Which perhaps shouldn't amuse me quite as much as it does. These are ornamental by the way, not to be used at Llogporth. This 6th century monk wrote a furious diatribe against the rulers in his native Britain. It mentions a battle later associated with Arthur, but not his name. Amongst those writers linked with the Arthurian legend, Gildas is the only one who lived at the time of Arthur. If he'd mentioned him by name, then there would be no question that an historical Arthur existed, as a flesh and blood man. All future legends could be categorically deemed as holding a kernel of truth, providing hints to the reality of the Celtic struggle against Anglo-Saxon invaders. Unfortunately Gildas did not mention Arthur by name. However, he does describe the Battle of Badon - later linked irretrievably to Arthur - without ever stating who led the Celts there. Author: St Gildas was a Brythonic Celt, born either on the banks of the River Clyde (modern day Glasgow, in Scotland) or the River Clwyd (modern day Denbighshire or Conwy in North Wales). He was the son of a chieftain, who entered a monastery as a boy. Differing biographies have him traveling on missions all over Britain and Brittany, as well as visiting Rome on pilgrimage. 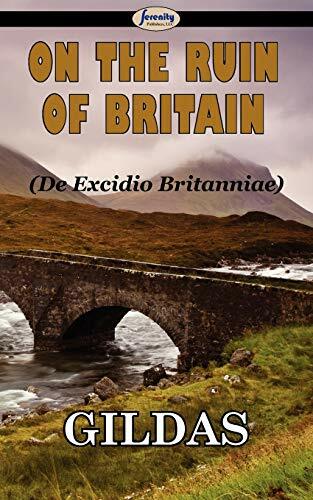 Story told: A scathing sermon on how the sins of Britain's Celtic chieftains have led to Saxons over-running the British Isles. 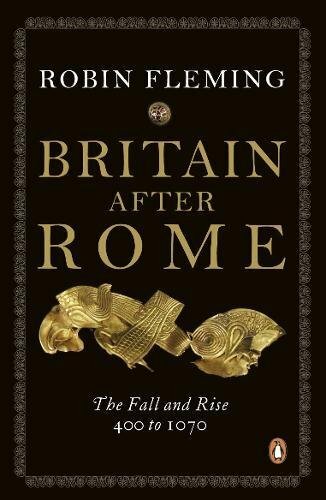 It's framed as a history, in three parts, touching upon Roman times before describing the distress of Romano-Britons after the withdrawal of the legions. Gildas lauds the achievements of Ambrosius Aurelianus, who unified the Celts in a cohesive defense of their lands under the onslaught of invading Saxons. Amongst the victories identified is the Battle of Mons Badon, but Gildas doesn't say who led the Celtic army there. The monk then singles out five British chieftains: Constantine, Aurelius Conanus, Vortiporius, Cuneglas, and Maelgwn. He condemns their sins as bringing ruin to Britain, framing the Angles, Saxons and Jutes as divine retribution. Possible agenda: On one level, the agenda is clear. All Celtic tribal leaders need to embrace true Christianity and stop acting in depraved ways. If they don't, then the Saxons WILL take their territories. This interpretation runs into difficulties when it's noted that Maelgwn Gwynedd was a powerful benefactor to the Church. His wealth supported several saints and founded the monastery of Bangor. However, some have seen anti-Pelagianism as the spark for Gildas's moral outrage, implying that Maelgwn may have flirted with the philosophy, or embraced it wholesale. Other analysts have seen Ambrosius Aurelianus as the historical inspiration for Arthur. Maelgwn Gwynedd could be the real life archetype for Modred, with the other named rulers as his allies. Is Gildas's rant an early description of the Battle of Camlan? At the very least, it could be read as a warning against Celts warring against each other, when they should be presenting a unified front against Germanic invaders. In this context, their sins were selfishness and lack of common sense. 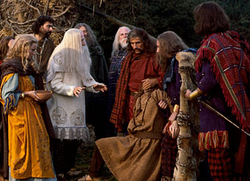 Seeking to become the supreme ruler of the Celts and/or taking each other's land would constitute depraved behavior. Such actions weakened the Celtic common cause, providing fracture lines to be exploited by their Pagan enemies. Thus would be the ruin of Britain. Occasionally a name leaps out of the annals of history with such force, that you just have to run with it. Maelgwn, ruler of Gwynedd, tested the patience of two saints. Maelgwn the Great, Pendragon of Gwynedd, was possibly THE most powerful ruler in 6th century Celtic Britain. Only priests and bards dared rile him, and they did. St Gildas certainly thought that Maelgwn Gwynedd had turned his back on God. But was the saint actually saying that the 6th century Welsh chieftain was a Druid? This could be the earliest literary mention of Arthur by name. But only if the poem has been dated correctly. That Aneirin's Y Gododdin mentions Arthur is beyond a doubt. The issue is when was that stanza inserted? Aneirin was a bard, hence his verses would have been memorized then repeated verbally. It was only centuries later that a successor wrote them down. By then, there's no telling what was in Aneirin's original and what had been added by other bards. Our oldest extant version of the written verses dates from the 13th century. The monk charged with making this copy also endeavored to modernize the words from Old Welsh into Middle Welsh (modern by his standards). He didn't get very far. Parts of the poem remained in the old language, and the mention of Arthur is one of them. Historians have used that quirk of linguistics to debate its dating. Circa 600 is the conservative guess, but 570 CE is the favorite. 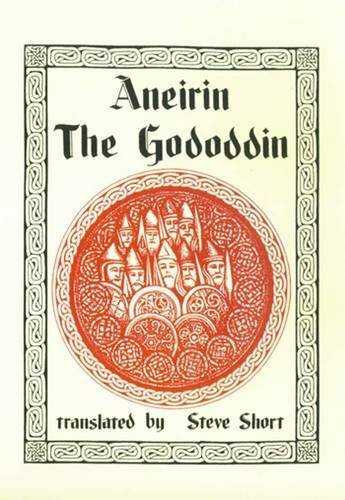 Author: Aneirin, aka Neirin or incorrectly Aneurin, a Cumbric bard. He was attached to the Celtic chieftain Urien, who ruled in Rheged (now Cumbria). Where: Somewhere in Y Hen Ogledd (The Old North). These were once the most northern lands occupied by the Brythonic Celts, until the Angles over-ran it. Parts of Yorkshire, Durham, Tyne and Wear, Northumbria and Cumbria in England, plus the Lowlands of Scotland, collectively make up the geographical region of Y Hen Ogledd. Cases have been made for Dumbarton (Scotland), or West Yorkshire (England) as being Aneirin's homeland. Din Eidyn, mentioned in the poem, is almost certainly Edinburgh. Story told: The bard was an eye-witness at the catastrophic Battle of Catraeth, emerging as just one of four survivors. He penned Y Goddodin as a series of interlinked elegies, telling the story of the battle through those who died in it. Though he was no Arthur. In the front rank, Gwawrddur was a palisade. Possible agenda: The mention of Arthur is blatantly a cultural reference, which Aneirin expected his audience to understand. It helped them to quickly grasp a sense of what Gwawrddur was like as a warrior and a man; a short-hand code, conveying volumes, without the bard needing to spell it out. Like me saying, "The boxer was no Mike Tyson, but he was handy with his fists." The familiar name also lent a veneer of sympathy for the strange warrior. They might not know Gwawrddur, but they knew Arthur, and the warrior was like him. Their feelings could be transferred. Aneirin proved himself a master of this story-telling device by taking it a stage further. 'Gwawrddur was an Arthur' would have worked as an emotive analogy, but it becomes much more beguiling to say 'Gwawrddur was no Arthur'. Now the warrior seems flawed and human, just like us, but why was he 'no Arthur'? Our imaginations work to fill in the details, guessing at the gap, fixing an ever more vivid impression of Gwawrddur in our heads. Which all serves to make his loss on the battlefield instantly more tragic. The bard made us care about the unknown soldier. Finally, Aneirin's agenda - in referencing Arthur - could be nothing more complicated than formatting. 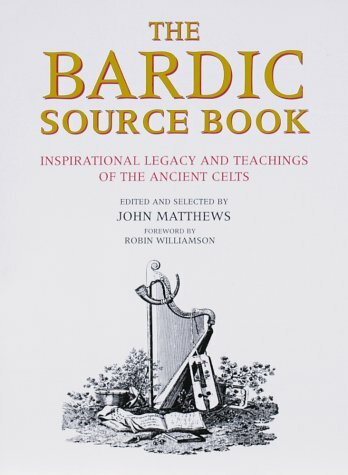 In the 6th century, Celts heard their stories, legends, histories and poems through the medium of their bardic oral tradition. It's not obvious in English translations, but the lines of each Y Goddodin stanza end in rhymes. That grouping served as a mnemonic for the bards reciting it. Cyn ni bai ef Arthur. In the Welsh alphabet, 'dd' is the equivalent sound for 'th'. Gwawrddur may have been selected for the analogy simply because his name rhymes with Arthur. 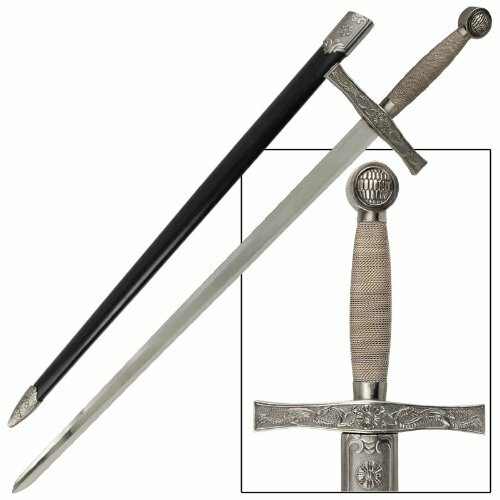 Addition to the Arthurian legend: Arthur had become the benchmark for steadfast bravery, against which all Celtic warriors might now be compared. Plus he was famous enough for his name to be used as an analogy, in the full expectation that all audiences would have a frame of reference. This can only mean that he was a) a Celtic deity; b) a popular hero from legend; or c) an extremely famous historical or contemporary individual. If historical people move like two-dimensional shadows through isolated events, then you're looking at them all wrong. 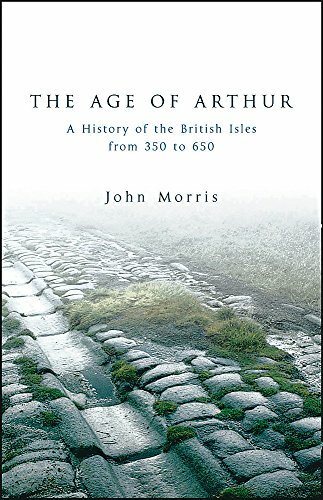 If Arthur was a real human being, then the 5th-6th centuries were when he lived as a British warlord. 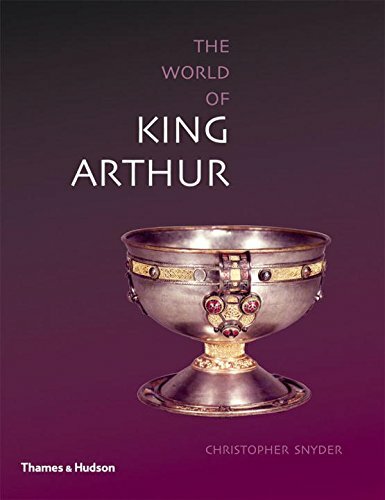 Learn more about the tumultuous Age of Arthur here. Make a list of the places that you want to see. All can happen, with absolute pleasure, if it's involving Wales. You're very welcome, and thanks for seeing here reading them all for the past hour or so! Now you've alerted me to the possibilities, I'm almost certain there would be. 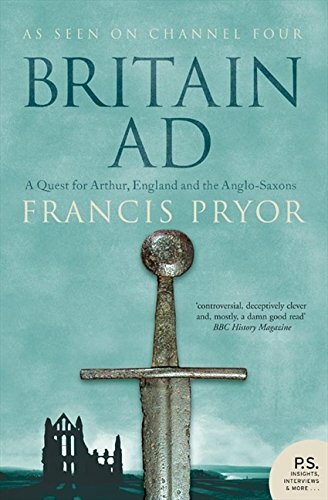 The Arthurian legend isn't merely British. It spread across Europe, then the world by the 12th century. Catholicism was certainly a massive force in the 12th century! The Vatican library and archives go back centuries, and have been kept carefully. However, I cannot vouch for the condition of the older ones. Whether older ones have crumbled depends upon whether they are parchment or vellum. I am pretty certain that correspondence from ancient rulers will be in the archive, but there is no certainty in this matter. There is also the problem that the archive has not been fully classified up to modern standards, as it is massive. What might be the case is that there could be the occasional reference in a document. We got that for Robin Hood [Robhod of Wakefield, 1225.] It might be so with Arthur. Now THAT is a fascinating prospect, which had never actually occurred to me. Do you think there really could be documents in the Vatican which mention Arthur? They would have been safe from so many purges there. But if they weren't being copied every few centuries, wouldn't they have crumbled by now? This article is so informative that I am going to read over it to extract maximum information. One interesting point,which you mention, is that Gildas, oddly, does not mention who led the Britons at Mons Badonicus. You would normally mention the winning general, unless you hated his guts. Then you have to mention the battle, but you overlook the winner. Whom did Gildas hate? Arthur. We cannot deduce this conclusion with certainty, but we can infer with degrees of possibility. I have a dream that one day in a peat bog in Ireland a mass of documents will turn up. Peat preserves and it is possible that monks, under threat from Vikings, rescued and hid some documents that were never recovered, documents that reveal something about Arthur, and other matters as well. Hope springs eternal! Another place to look is the Vatican library and archives, not all of which have been catalogued properly. any reputable historian may use them. All you need is a valid purpose and a letter of support from a reputable academic institution or a bishop. Be assured, your Wiccan faith would be no barrier to using the library, but you would have to have the language to read the documents. Was Chrétien de Troyes a Woman? 12th century poet Chrétien de Troyes has been called the grandfather of the modern novel. But should that be 'grandmother' instead? A sexist exultation of wife abuse and male pride? Or a Medieval strike towards female empowerment? Erec et Enide requires some context to be enjoyed today.